I just started with my new site called squishy cash a couple of days ago. 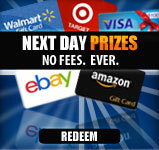 I can say that this is the best GPT site that pays you fast. I have made at least $50.00 so far. I have referred others to signup and when they join they will get a 5.00 bonus. Happy earnings to everyone that joins. I have been an active participant on several GPT sites in the last couple years, and I have rarely broke the $100 mark in any month on a single site. 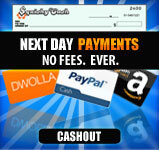 I was drawn to SquishyCash because I noticed that they had more free offers than any other site. I also had been told that customer service is excellent; not only is customer service excellent, but the offers are truly amazing and very easy to profit from! I was just paid about $230, which is a record for me. I would recommend this site to anyone and can truly say that this is one of the best! Keep up the good work SquishyCash! I love SquishyCash because they add new offers every day. It is very convenient to know that whenever I log in, there will definitely be offers that I haven't seen before. The site's owners are friendly and helpful, and they respond to concerns very quickly. I've made more than $100 on this site without investing a penny. Thanks SquishyCash! I'm a GPT junkie. Now, because of SquishyCash, I doubt I'll ever come clean! There are many ways to make money online, but SquishyCash has been one of the easiest and most rewarding ways. Your wallet won't regret you joining! Want to say some kind words about SquishyCash that the whole world will see? Simply contact us. Make the subject "Testimonial" and then type your praises as you'd like them to appear along with your first name, last initial, and location!